On Wednesday, September 20, 2018, Hurricane Maria slammed into the island of Puerto Rico. This was the strongest hurricane to strike the island in over 80 years. 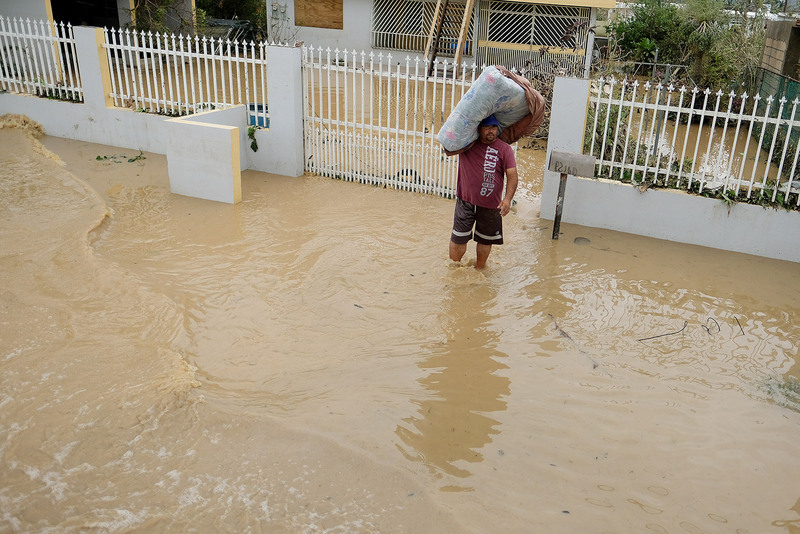 Hurricane Maria left near apocalyptic conditions in its wake: toppled power lines, extensive flooding, and utter devastation to so many homes and structures. Even basic necessities such as fresh water, fuel and phone service have been interrupted, resulting in a growing humanitarian crisis. Help on the Way: According to NBC 4 New York, First Responders from New York City flew down to Puerto Rico this past Saturday, September 23. Their goal is to assist the island’s overwhelmed emergency management center. This will no doubt be a protracted clean-up effort as Puerto Rico works to rebuild. Evacuating due to flooding in Puerto Rico post Hurricane Maria. This entry was posted in News & Events and tagged flooding, Hurricane, Hurricane Maria, New York City, NYC First Responders, Puerto Rico on September 25, 2017 by Robin Azer.